It’s been sixty years since a devastating invasion by an alien race known as Scavs wreaked ecological havoc on Earth, forcing the population to evacuate to distant space. The only ones left on this desolate landscape are Jack Harper and his coordinator, who are tasked with maintaining the rigs that provide power to the colonies whilst under the constant surveillance of the Tet, an omnipresent space station. On the surface, Jack, played by Tom Cruise, leads an idyllic life as he flies around on missions while his dreams are haunted by a beautiful and enigmatic stranger. However, all is not as it seems when a ship crash lands, containing the very woman from his dreams. 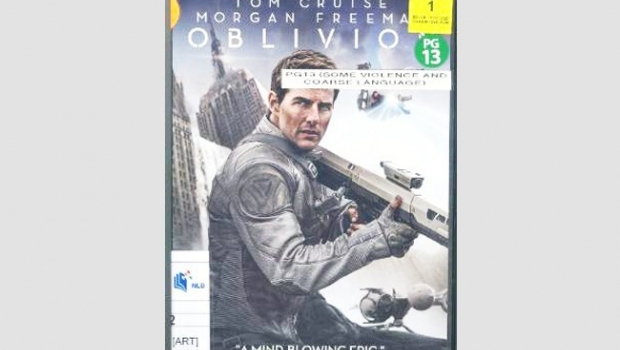 Tom Cruise belies his age in this lavish action production, engaging in many gruelling action sequences. Though somewhat predictable, the plot remains largely entertaining, coupled with truly breathtaking special effects. A powerful and intriguing premise followed by a fun ride- a great DVD to borrow for an entertaining two hours.